It is a form of abuse in which an adult or older adolescent uses a child for sexual stimulation. The United Nations has defined child sexual abuse as contact or interaction between a child and an older or more knowledgeable child or adult in which the child is being used as an object of gratification for the adult’s or older child’s sexual needs. This contact or interaction is carried out against the child using force, trickery, bribes, threats or pressure. It may consist of a single incident or many acts over a long period of time. Abuse is frequently perpetrated by someone known to the child. Research has long indicated a relationship between child sexual abuse and psychological difficulties in later life. Impact of CSA can be far reaching, including difficulties forming relationships, alcohol and substance abuse, depression, frequent relocations, crisis-like situations and financial setbacks. 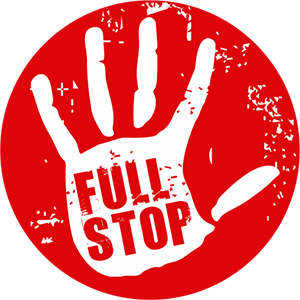 Full Stop is a national campaign against Child Sexual Abuse organised by the Bachpan Bachao Andolan (“Save The Childhood”) movement. Our goal is to raise awareness about CSA as well as to empower and educate survivors and child victims and their loved ones. We also provide resources for teachers, social workers, medical professionals and the police. The Survivor Chronicles is a new series by Bachpan Bachao Andolan (Save the Childhood Movement) to feature true stories of adult survivors of child sexual abuse. They speak of their pain of having been abused by someone they trusted. They speak of their fear of being rejected by their family, by society after the abuse has happened. Their sense of loss and grief, and their anger. And how the abuse has impacted their growing up, their intimate relationships and their sense of self. The series aims to raise the issue of child sexual abuse and its insidious nature. We must all play a role in stopping it. Full Stop. Full Stop is a comprehensive online platform to provide support to adult survivors and child victims of sexual abuse and their loved ones. Sign up for regular updates about our organization.